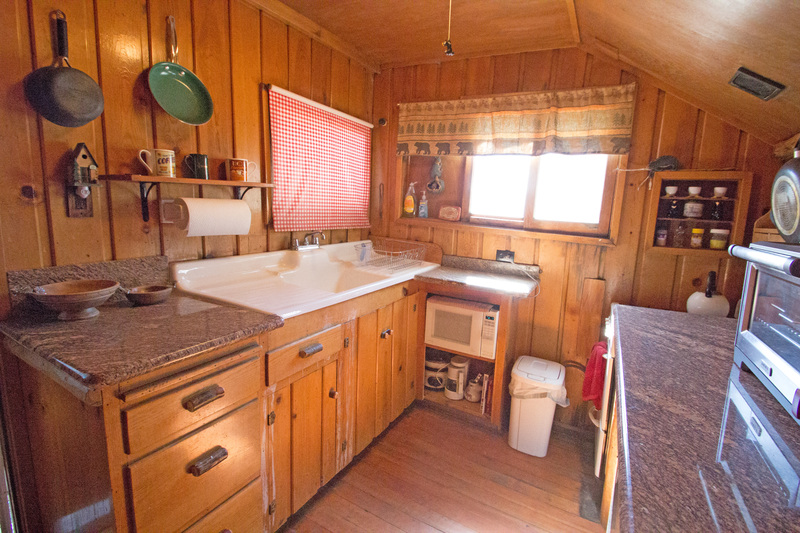 Bright and sunny kitchen with a view of the lake from the sink! 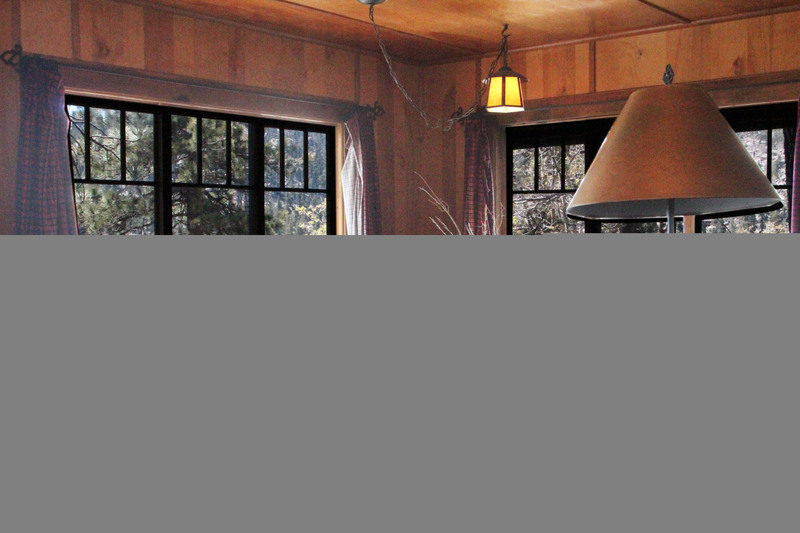 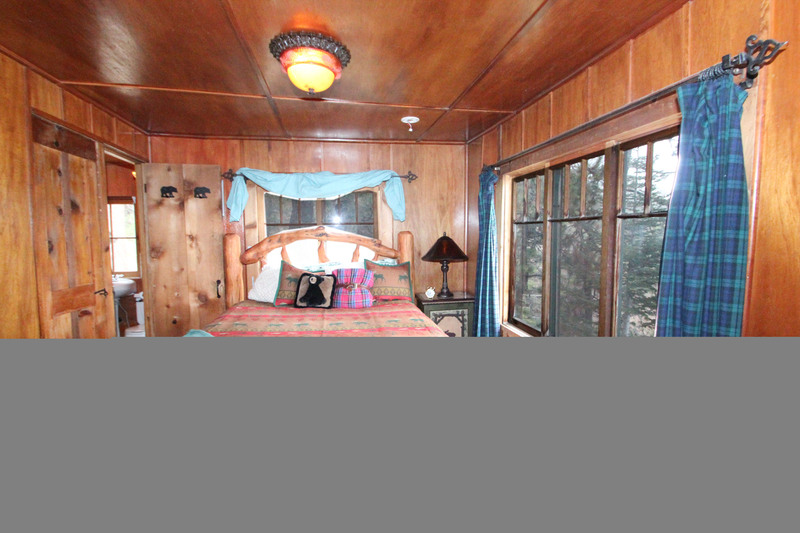 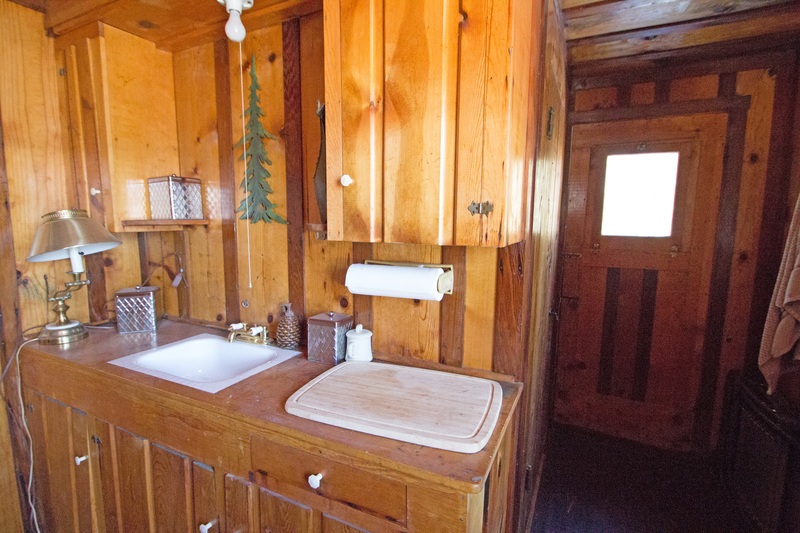 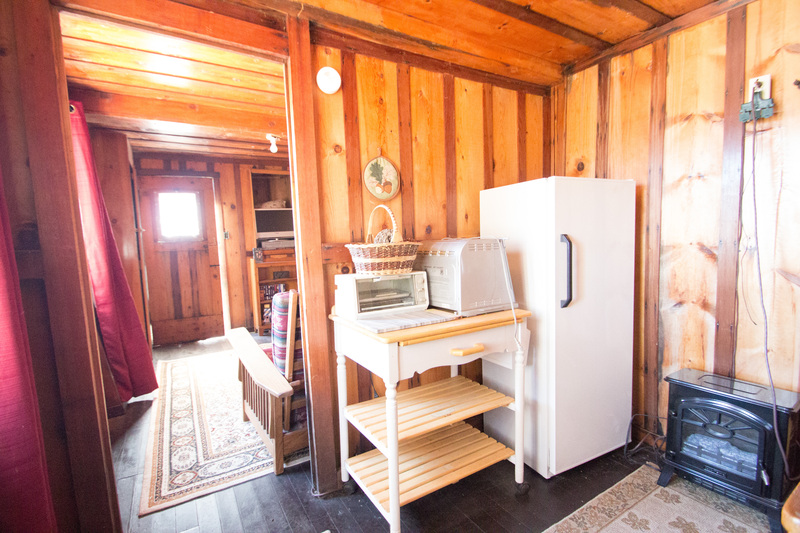 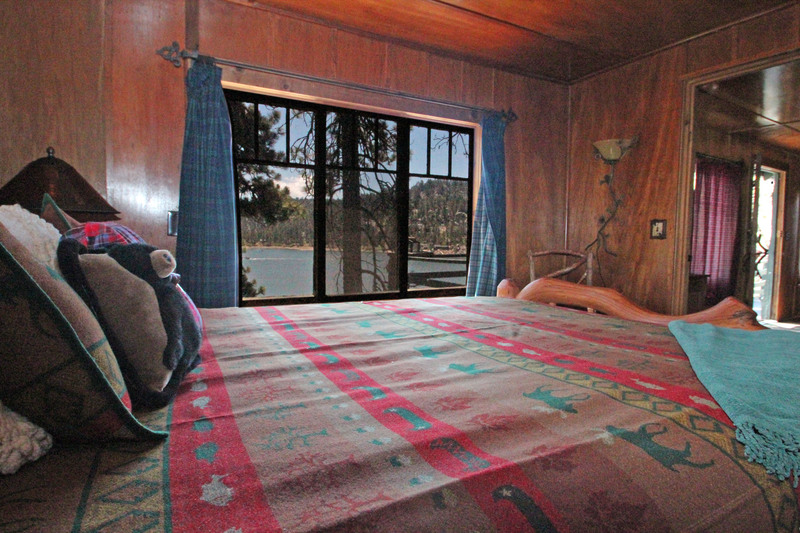 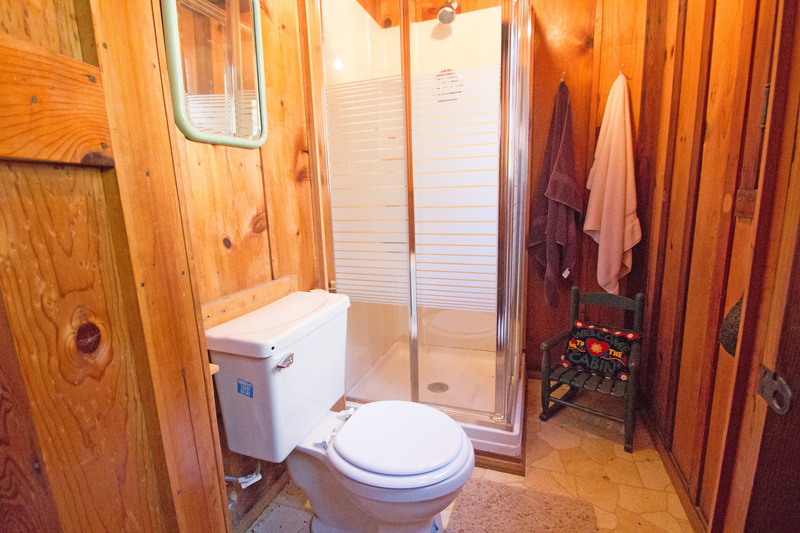 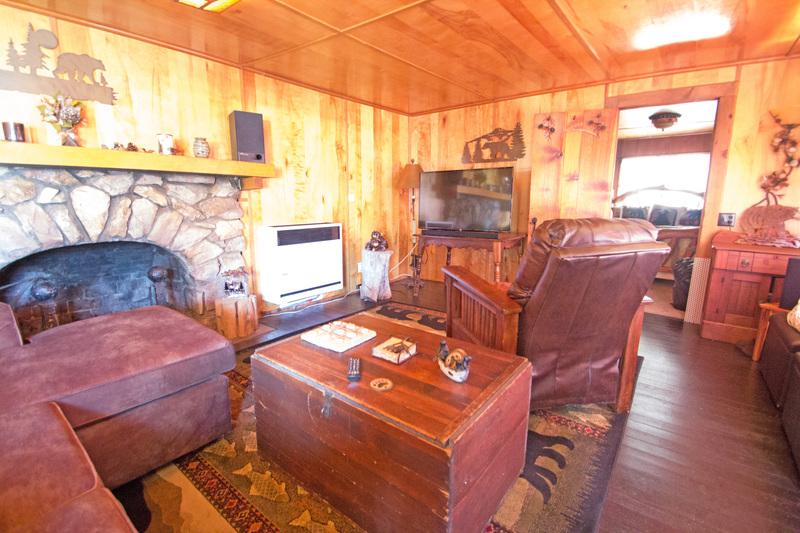 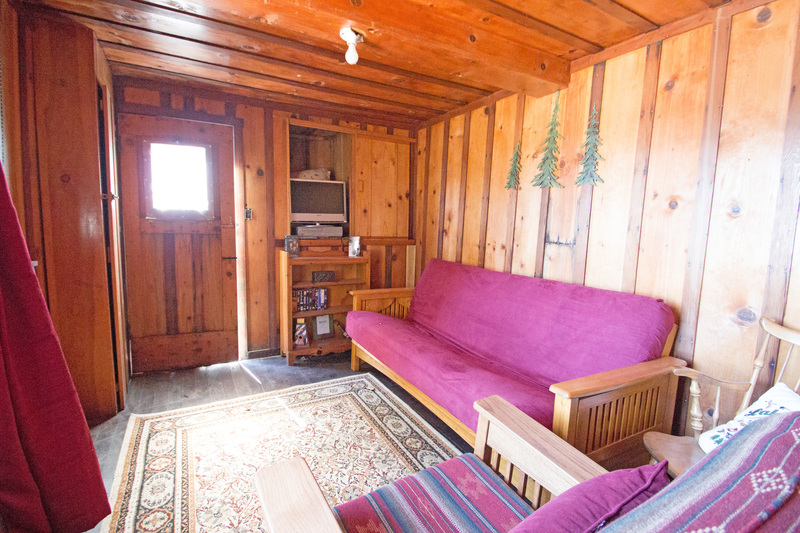 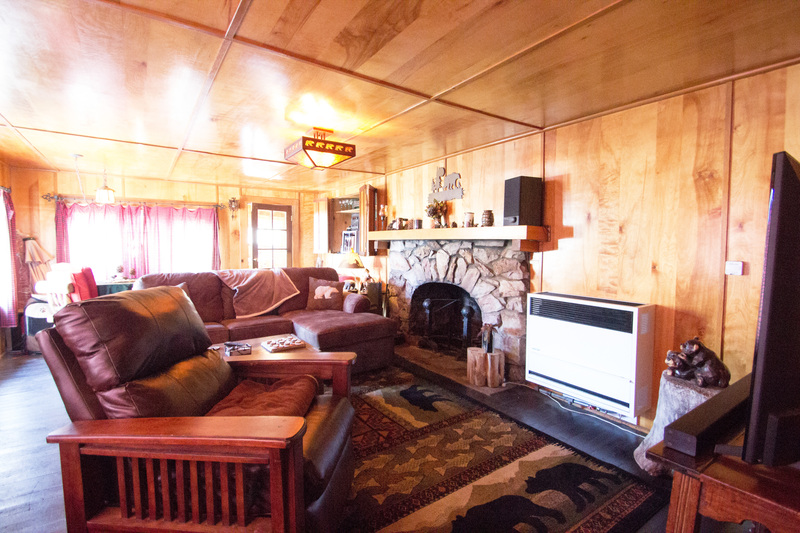 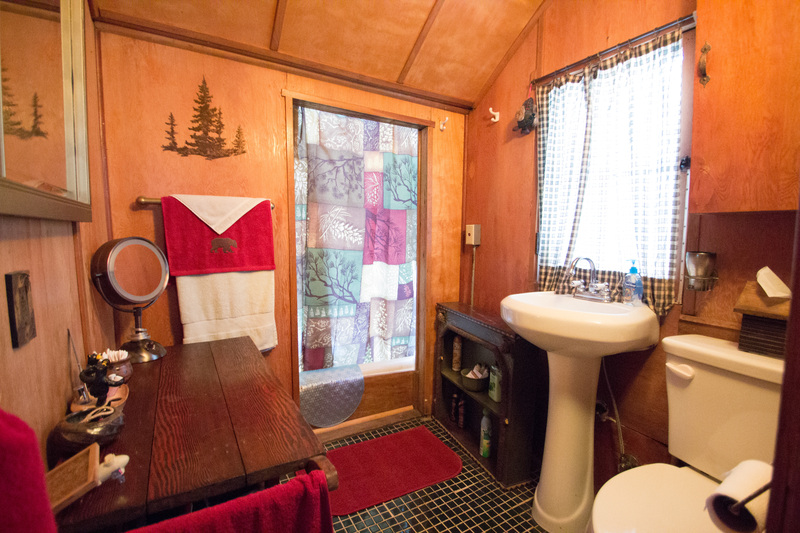 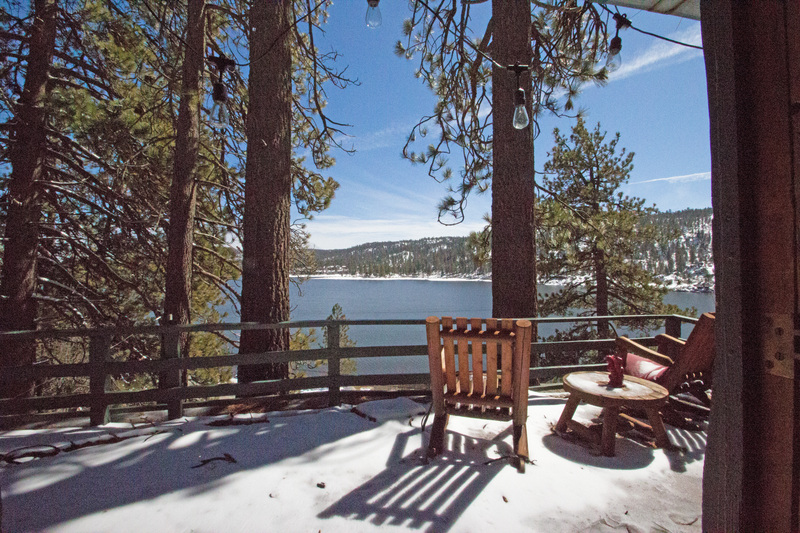 Get ready for the ooo’s and ahhh’s of the view from this vintage Big Bear cabin with all that cabin charm. 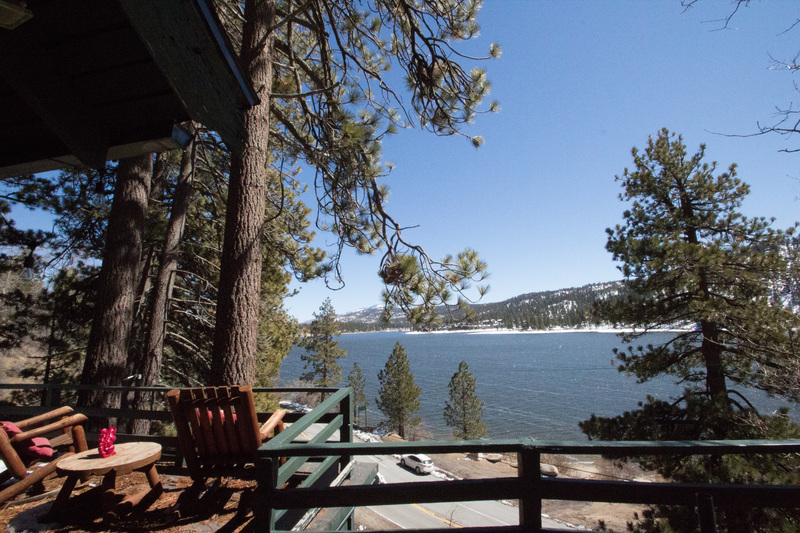 Privacy, stunning lake view and a few steps to the edge of the water is waiting for you. 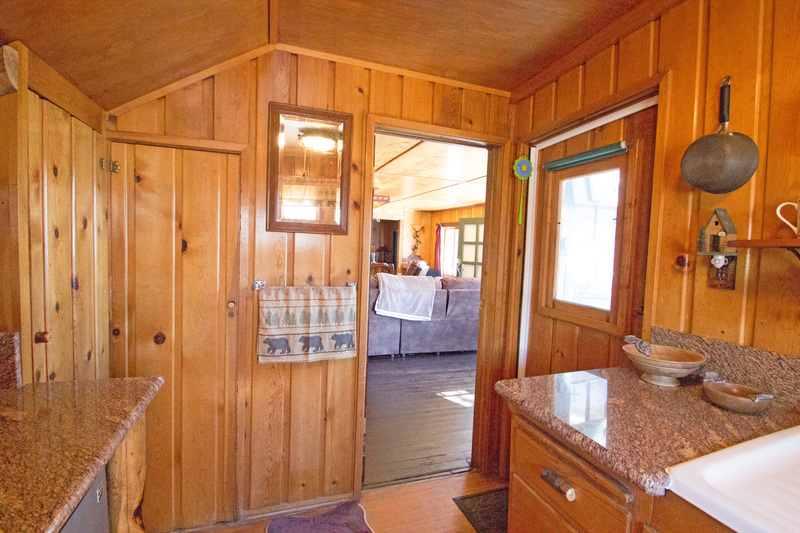 In addition to the main floor with kitchen, living room, dining area, bathroom and bedroom there is an additional bonus area with a living room area, kitchenette and full bath. 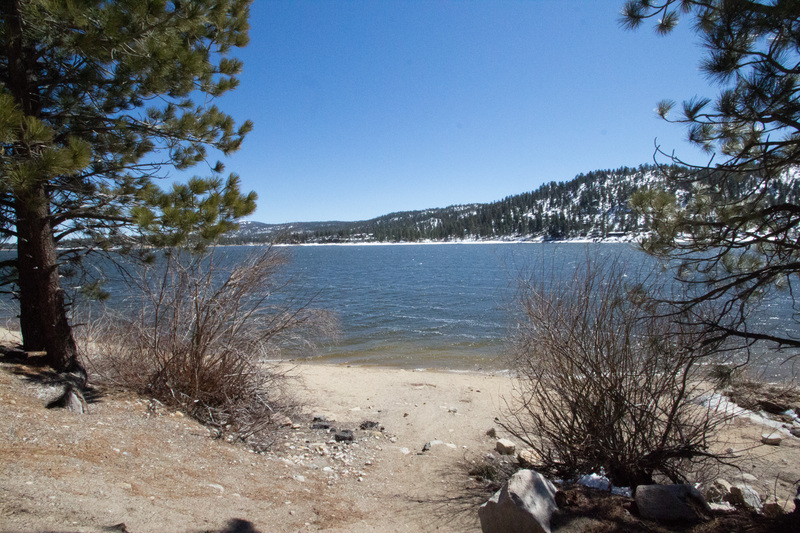 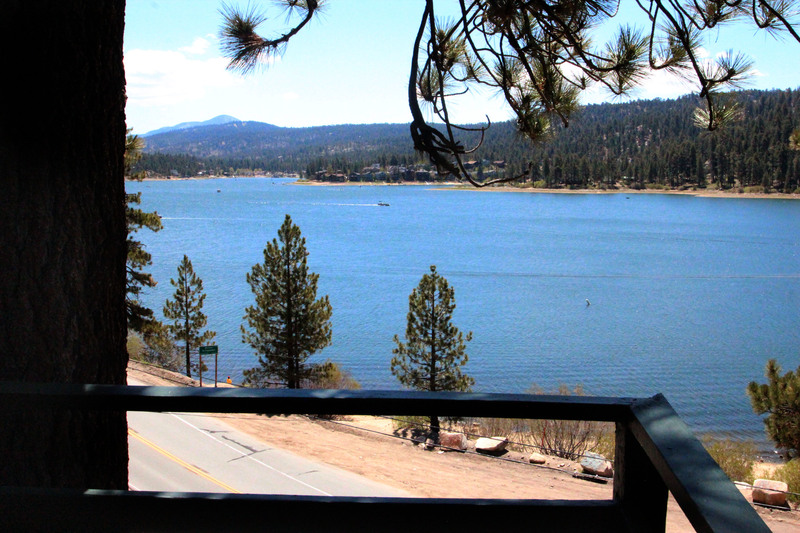 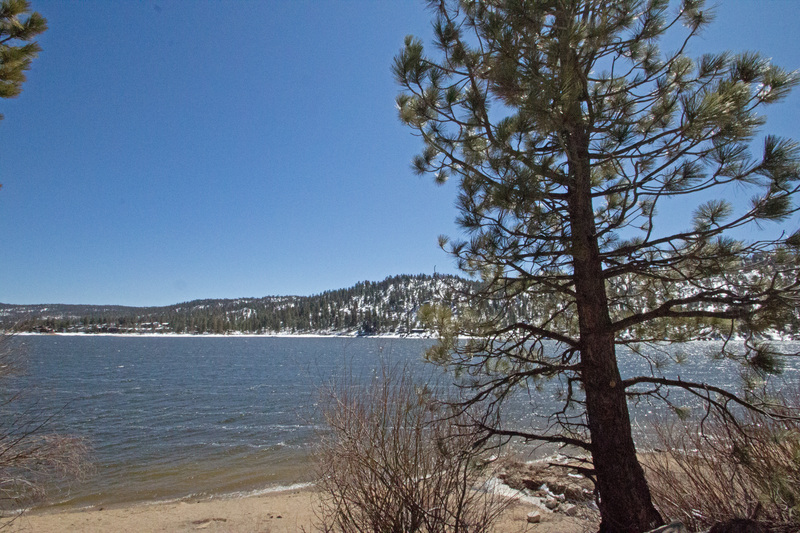 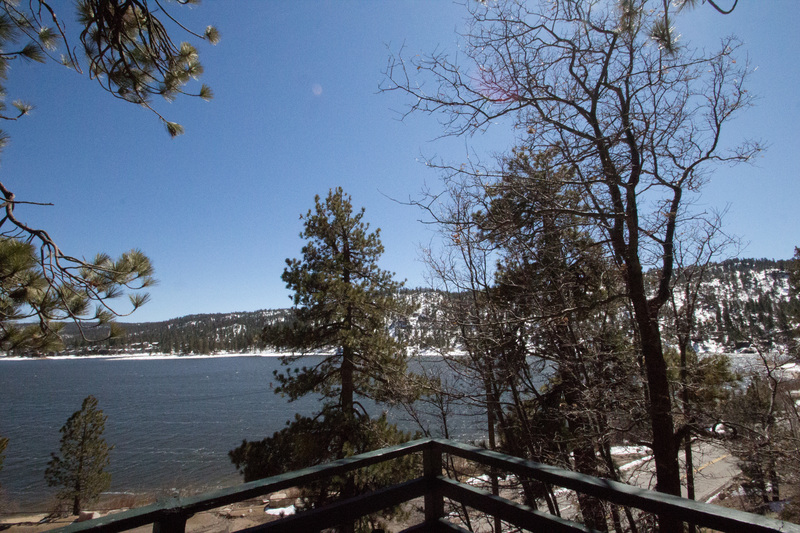 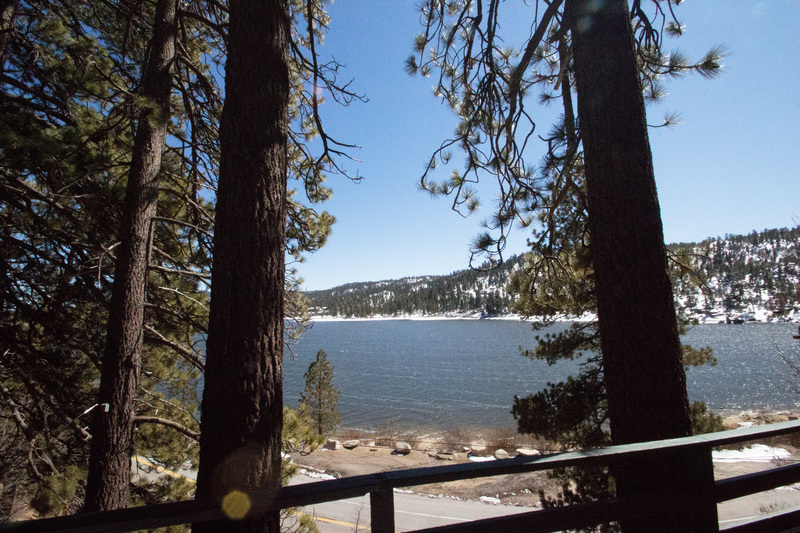 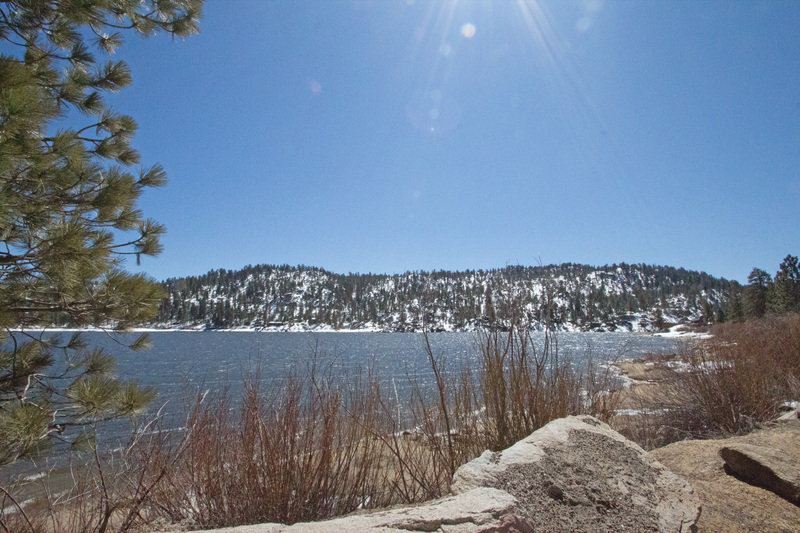 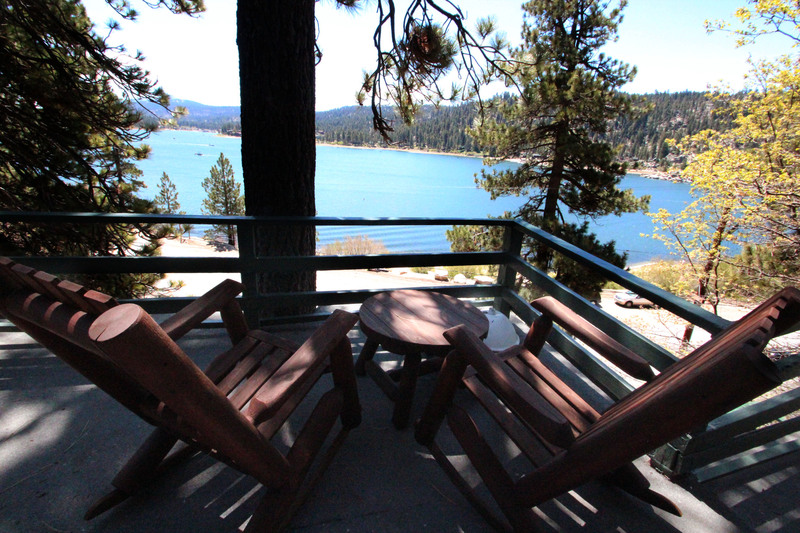 Imagine sitting on the front deck or swinging in the hammock on a cool summer day with a panoramic view of Big Bear Lake. 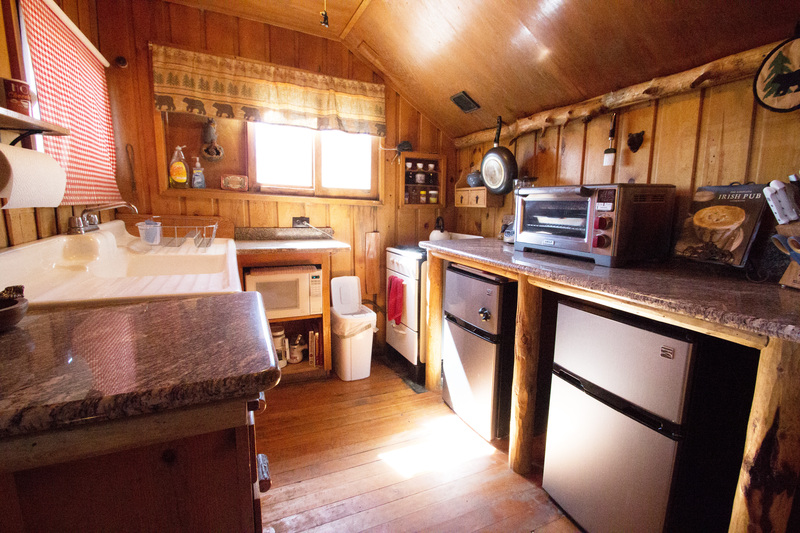 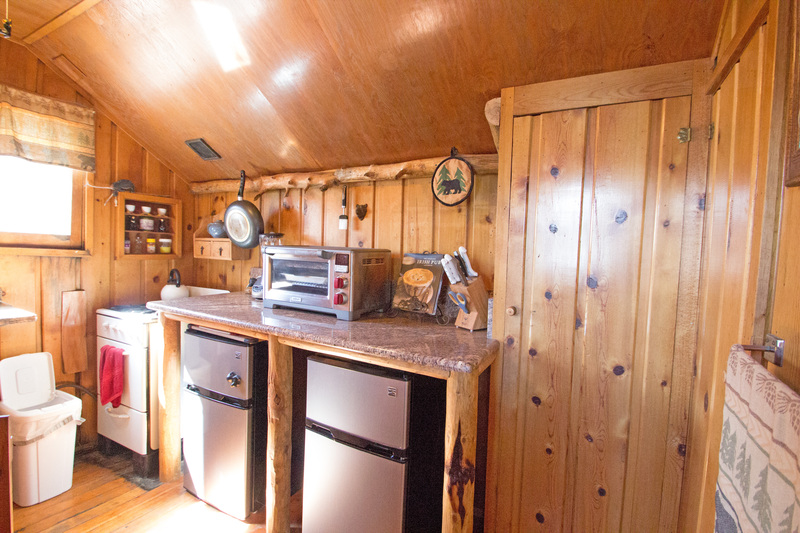 Granite recently installed in kitchen, newer roof, newer heater and newer water heater and some upgraded plumbing make this a great place to enjoy Big Bear. 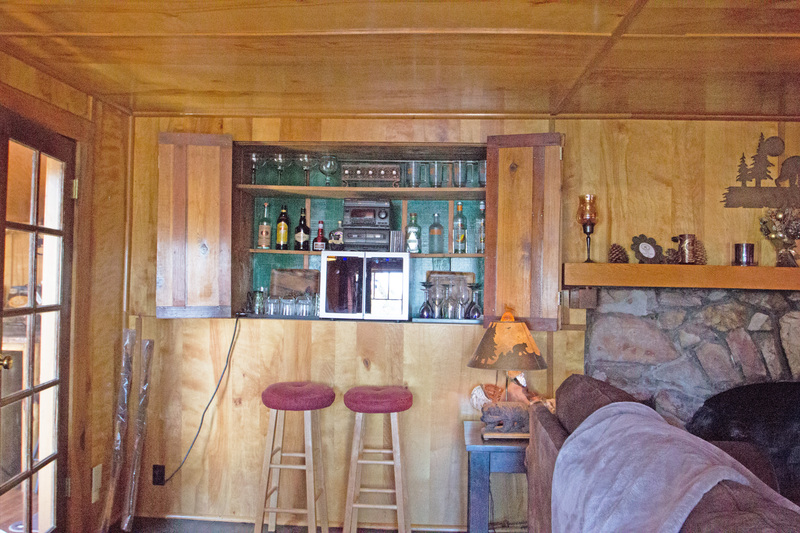 Easy enough, just enter your email address above and we will include you with all the other fun folks who receive the weekly email.